Product prices and availability are accurate as of 2019-02-17 00:37:42 EST and are subject to change. Any price and availability information displayed on http://www.amazon.com/ at the time of purchase will apply to the purchase of this product. 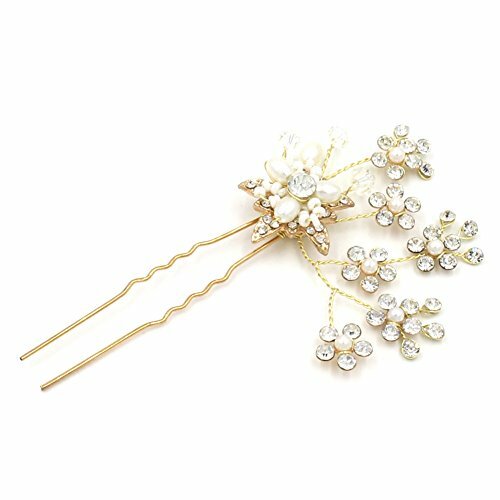 This hair style is used for fasten your hair and decorate yourself on wedding, party, evening and home. 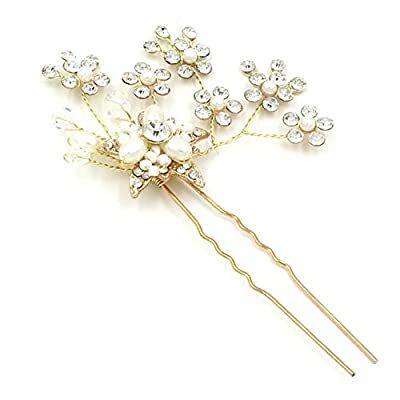 The decorative pins is cheap, vintage and fashion, it will make you grace and elegant on any occasions. 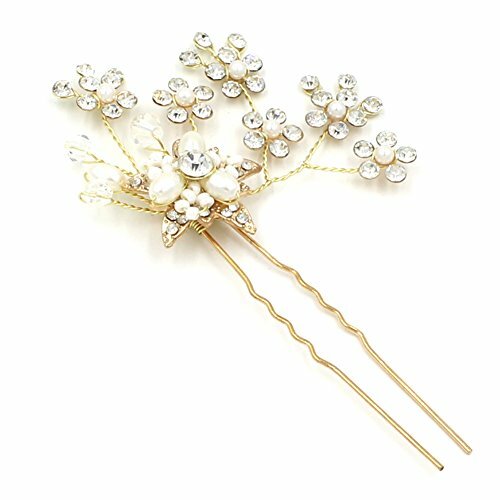 Size: 9 x 8cm; Weight: 0.009KG Materials: crystals, pearls and alloy Occasion: Wedding, Evening, Prom, Homecoming, Graduation etc. 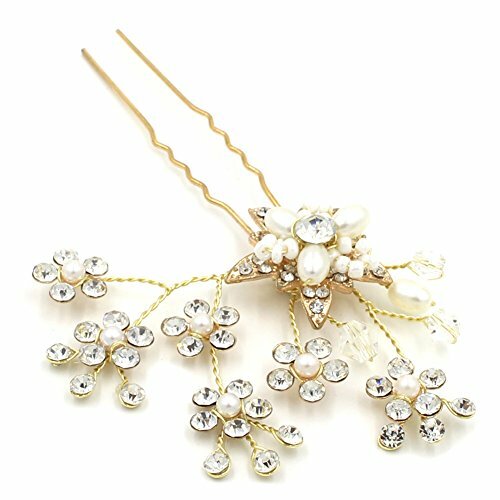 special occasion parties This versatile piece can be worn in a variety of hairstyles. You can change the shape of the pins as you want. It is suitable for any shapes.